East Haven police are investigating a three-car crash in which one car hit a building. 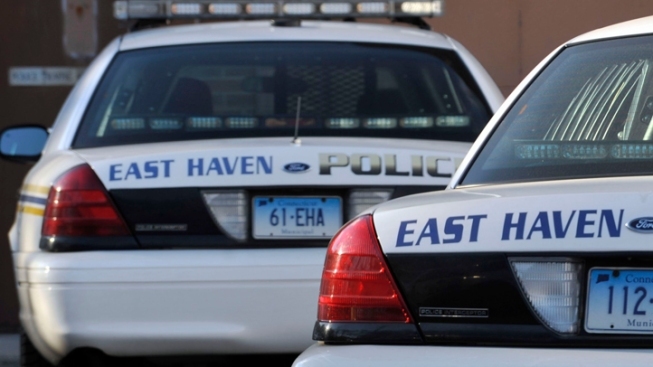 A Connecticut jury has found two East Haven police officers guilty of violating the civil rights of Hispanics. The 12-member jury reached the verdict Monday on its third day of deliberations in the case of David Cari and Dennis Spaulding. Cari and Spaulding were among four East Haven officers arrested by the FBI last year for allegedly harassing and abusing Hispanic immigrants. The other officers, Jason Zullo and John Miller, await sentencing after pleading guilty to reduced charges. Lawyers for Cari and Spaulding said federal prosecutors didn't prove their case beyond a reasonable doubt, while prosecutors said the evidence showed the defendants engaged in racial profiling and harassment. Spaulding, who was released on bail on Monday, will appeal the verdict, according to his attorney, Frank Riccio. Cari chose to begin serving his sentence immediately. "He's a strong man, one of the strongest I've ever met." said Alex Hernandez, Cari's attorney. " He's an example, I think, for everyone." East Haven mayor Joseph Maturo released a statement after the verdict on Monday. "For some in our community, today's verdict provides a sense of vindication and closure. For others, especially our police family, it is a difficult and sad occasion. What is clear is that for all of our residents, it is an opportunity to close a difficult chapter in our town's past and move forward as one, unified community," Maturo said. Spaulding is set to be sentenced in January.